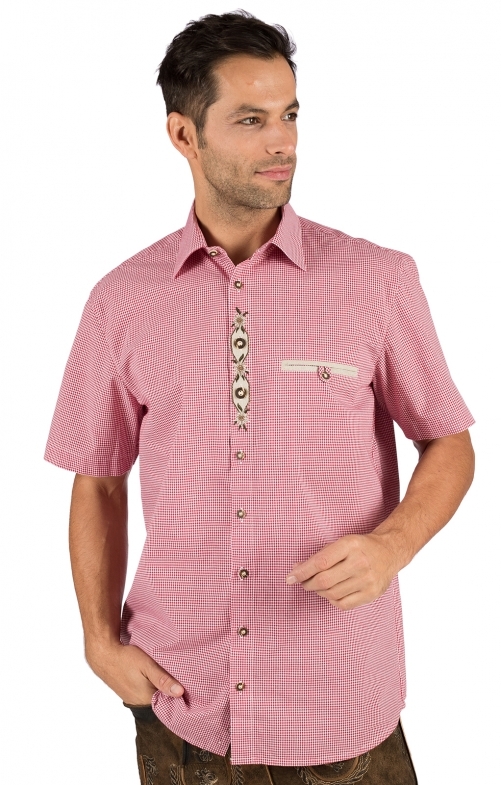 Modern traditional shirt with red and white Vichy cheques for the summer. The short-sleeved men's shirt made of cotton and polyester inspires with a soft feel on the skin. Especially in summer, gentlemen love the lightweight material in combination with traditional leather trousers. Three edelweiss are embroidered on the button panel with the small buttons in horn optics.